On November 19, International Space Station Expedition 33 returned to Earth. 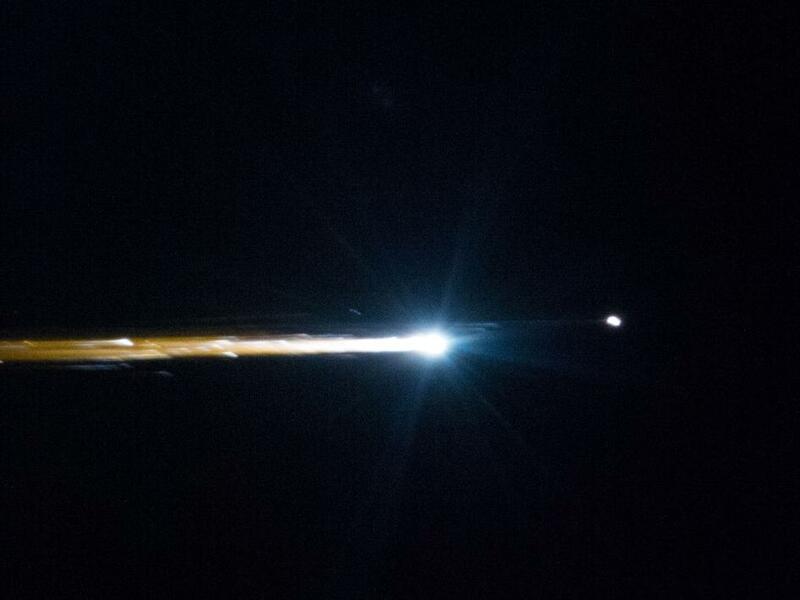 As their Soyuz TMA-05M began its descent, the Expedition 34 crew saw a spectacular plasma trail streak out behind it. The returning crew landed safely in Kazakhstan shortly thereafter, while their compatriots in space wait for the rest of their expedition to join them on December 21. Soyuz TMA-05M returning ISS Expedition 33 to Earth (Credits: NASA).